There are several thousand private jets available around the world for charter flights. Their owners are mostly companies and private individuals who use the jets for their own flights, and who often only have them chartered out via “their” operator when they don’t need them. This type of setup involves some very important factors, such as the jet’s home airport and availability, but it is also worth remembering that the tighter the regulations, the more flexibility will suffer on the charter market. An experienced operator can use a detailed market analysis to show you which “tricks” can optimize the chartering process. The key factors in focus for a market analysis of this kind depends heavily on the respective aircraft type. In the case of a Citation Mustang, for example, i.e. a very light jet with a maximum operating range of approx. 2.5 flight hours, and which naturally tends to be booked more for relatively short flights, long positioning flights massively drive up the air fare. For this reason, the market potential of aircrafts in this category usually lies in the immediate vicinity around the home airport. It’s a completely different story for a long-haul flight on an ultra long-range jet (e.g. a Gulfstream G550 with an operating range of over 12 flight hours). The positioning costs are nowhere near as expensive, making a jet like this an interesting option even for more distant markets. The market dynamics also differ greatly depending on aircraft type. In general it can be said that the smaller the aircraft, the more dynamically the charter market reacts to structural changes in framework conditions, particularly in the case of changes on the financial market. The light jet market volume, and simultaneously also charter prices, rises during economic boom times, but suffers a major collapse during tight periods. Users of heavy and ultra long range jets appear to react (or to have to react?) less sensitively to such changes, i.e. market volume and potential for aircraft in this category do not vary as quickly or drastically as for the abovementioned “small(er)” jets. All this and much more is ultimately incorporated into the market analysis, and the result is nothing less than a methodical list of opportunities and risks for your jet on your market, supplemented with expert recommendations for improving charter capacity utilization. So if you’re looking to optimize your jet’s potential, speak to your operator today and ask them about this kind of market study. Or just let Premium Jet do it for you! 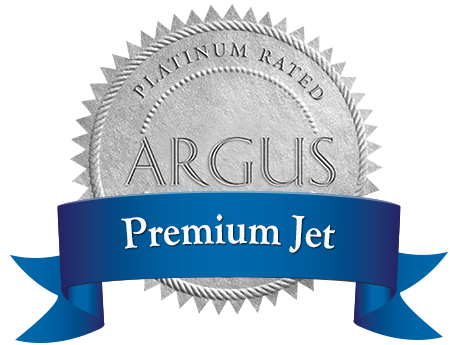 We have proven experience in marketing business jets, and will be glad to assist you with help and advice. Sometimes it’s good have everything looked at and assessed “from the outside” … the small financial outlay is more than worth it!